The economic scenario of a country drives the development of its social scenario. 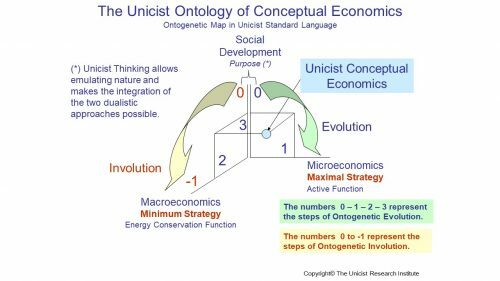 The Unicist Conceptual Economics was developed to deal with the nature of economic behavior allowing the development of transgenerational plans (20-50 years) to promote the development of countries. Click on the image to access. The international presentation of the “Microeconomics driven Development” project took place on October 30, 2018. This is a cross-cultural approach that has no political bias. This event included the presentation of the basics that underlie the actions that will be implemented by the local think tanks / foundations to develop the project in each country. The objective of this approach to social and economic development is to introduce an evolutionary structure based on the growth of the real economy that drives the evolution of societies. The microeconomics driven development Project is based on the researches on Social Evolution, Economics and Anthropology developed at The Unicist Research Institute using the unicist complexity science research methodology to deal with adaptive systems. 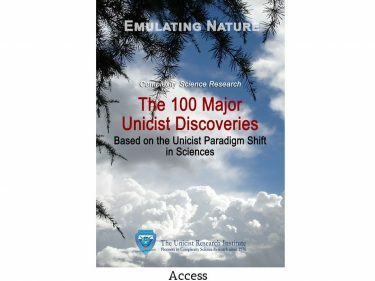 This research is based on the paradigm shift in science introduced by the Unicist Theory, which is based on the discovery of the functionality of the ontogenetic intelligence of nature that allowed developing the ontogenetic maps of adaptive environments that regulate their evolution. This allowed managing adaptive environments which, by definition, have open boundaries that make them feedback dependent, and require developing maximal strategies to grow and minimum strategies to ensure survival. These technologies are basic to deal with the evolution of social and economic environments. The different segments of an economy require managing adapted rules to empower their functionality. Knowledge Economy drives the emergent segment of a socio-economic structure and requires a high level of economic freedom to become established in a culture. It needs to be clarified, that knowledge economy exists everywhere without even being noticed. What varies is the economic value of the knowledge. 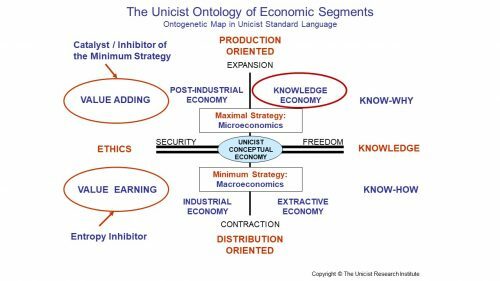 The microeconomics driven development is based on the unicist approach to knowledge economy, to establish a framework that generates growth in the emergent segments of a society. 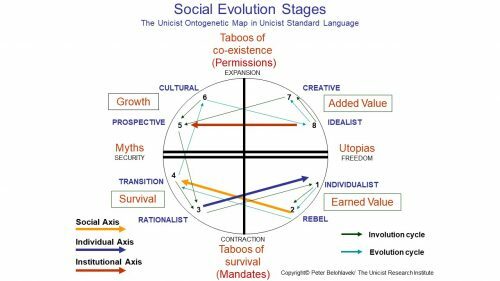 This framework materializes the new utopias of the culture to achieve a superior level of development these utopias become installed in the myths of the establishment and spread in the whole culture. In the meantime, knowledge economy works as a complement of the industrial economic segment and as a supplement that empowers the extractive economic segment by opening new spaces. Industry 4.0 is an example of this situation. 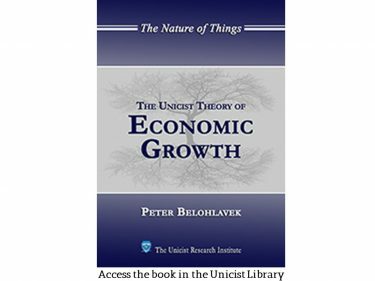 The extractive and the industrial economies are strongly influenced by macroeconomics which makes them less adaptive than the post-industrial and knowledge economies that are basically microeconomics driven. The microeconomic driven development approach requires having a sustainable globalization approach, which is based on the national interests of a country that need to be defended by its elites. It needs to become clear that the pathway of microeconomics driven development varies according to the resources and characteristics of each culture. The long-term strategic planning in business fosters sustainable microeconomic evolution. When short-term objectives prevail, a survival stage is fostered, which generates individualism and instability. In adaptive evolving environments the past and the future are not symmetric. Therefore, when growth is a goal, the symmetry with the past needs to be broken. Unicist strategy, which is an emulation of the intelligence that underlies nature, allows influencing the environment to develop maximal strategies to grow and minimum strategies to ensure survival. The building of strategy requires understanding the environment and forecasting its evolution. 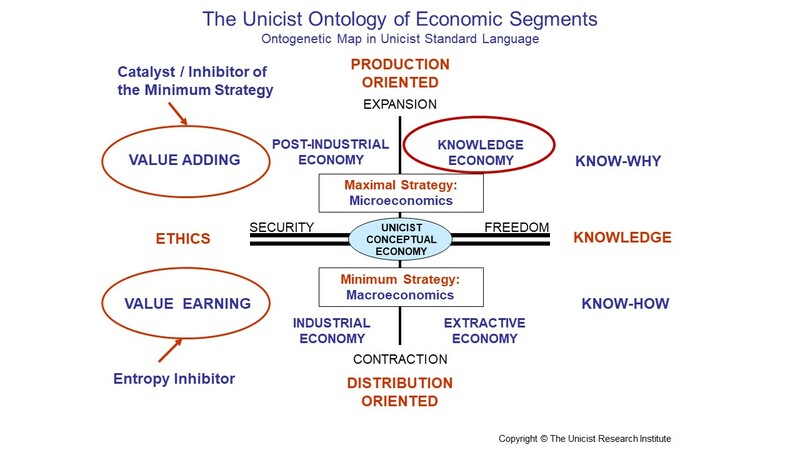 The unicist approach to build future scenarios is based on the knowledge of the ontogenetic map of the environment. These ontogenetic maps are built upon information of the past while the information of the present is used to infer the future. Planning influences the occurrence of events. Private long-term planning at the microeconomic level influences the long-term planning at a macro level. The microeconomics driven development program requires that the microeconomic agents develop long-term planning to influence the future of their context. A Social Lab is installed to monitor economic development and managing the evolution of the customs of a culture that drive towards the empowerment of the sustainable globalization, the autonomy and the industrialization processes of countries in the different segments of their microeconomy. The Social Lab measures the functionality of the framework of microeconomics driven development and allows managing the horizon of its evolution. The Social Lab includes the use of artificial intelligence to learn from the big data of the social and economic facts and unicist artificial intelligence to interpret the evolution using the fundamentals that drive the economic behavior and are structured in the ontogenetic maps that define their dynamic and evolution. Businesses are the central agents of microeconomics. The concept of the 4th Industrial Revolution gave operational meaning to the Knowledge Economy and drove to the need of managing the unified field of business processes which requires knowing and managing their conceptual structures. This was solved by the Unicist Theory and its applications that allow managing the functionalities of the concepts of social and business processes which define the root causes of their evolution. The discovery of the fact that the actions of people are driven by the concepts they have in their minds, introduced an upgrade when dealing with individual, institutional and social behavior. The knowledge of the structure of concepts allows defining what is possible o be achieved in a business environment and ensuring growth, profitability and sustainability. The upgrade of businesses is what makes the microeconomics driven development tangible in the short term and possible in the long term. Microeconomics driven Development requires that businesses assume a leading role in their communities, which implies ensuring their growth, profitability and sustainability. 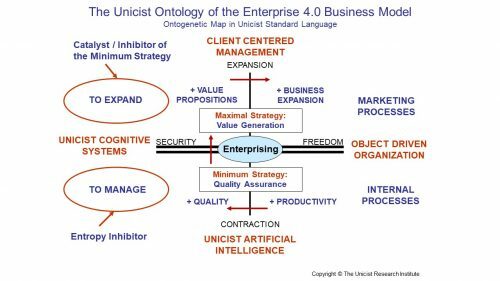 This is the Enterprise 4.0 model that integrates client centered management, object driven organization, object driven marketing, cognitive systems and unicist artificial intelligence to improve productivity, quality, value propositions and business expansion. It requires managing the root causes of business processes and the development of maximal strategies to grow and minimum strategies to ensure results. This model is a simplification of business processes based on the emulation of the intelligence that underlies nature. The 4th Industrial Revolution is an upgrade towards a superior level of value generation. 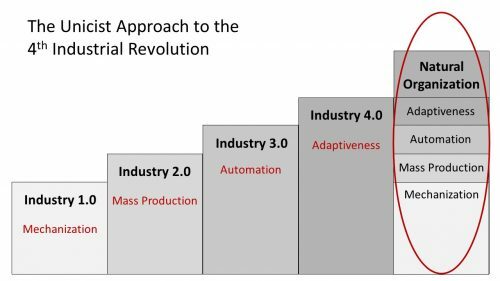 Industry 4.0 implies introducing adaptiveness in organizations. The level of industrialization depends on the outputs that need to be produced. Therefore, different levels of industrialization coexist in all environments.  Click on the image to access. The 4th industrial revolution made the knowledge economy meaningful in the real world. Its main goals of increasing adaptiveness, customer orientation, productivity and quality, established a new standard that needs to be matched to deal with a globalized world. It requires moving from a systemic mindset to a conceptual mindset that in fact requires integrating the operational, analytical, systemic and conceptual mindsets to match the different roles in the real economy. 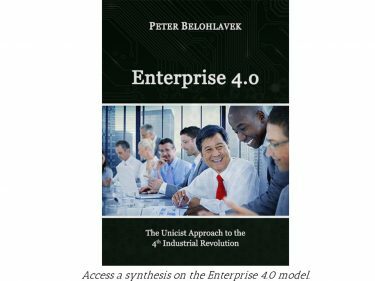 Enterprise 4.0 was the name given to the unicist business model for the 4th Industrial Revolution. It uses Unicist Cognitive Systems as catalysts and entropy inhibitors of business processes. The Unicist Research Institute was a precursor in introducing adaptiveness and client/customer orientation in business processes. That is why this model has a long history although its name was given recently in order to facilitate its expansion in the business world to foster growth, profitability and sustainability. 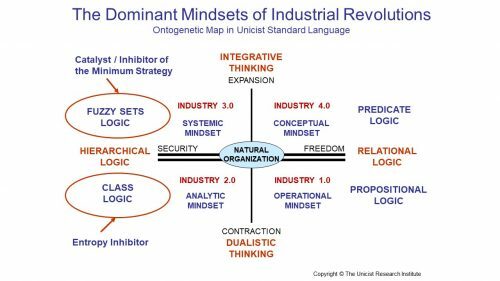 Conceptual thinking is the dominant mindset in the 4th Industrial Revolution and is used in the Enterprise 4.0 model. This stage is based on improving the adaptiveness of processes by being fully consumer/user/buyer oriented, increasing the productivity, which implies improving the cost/value relation and increasing the quality to become fully reliable. Click on the image to access. This model is an upgrade in business management that allows emulating the organization of nature and developing an integration of the different levels of technologies that coexist in any organization. The purpose of this business model is to ensure an adaptive organization that is customer oriented and achieves a superior level of productivity and quality that increases the value generated and fosters market expansion. The maximal strategy that increases the level of generated value is integrated by the client centered management model, object driven marketing and the use of cognitive systems to manage expansion. The maximal strategy drives the growth of the business. The minimum strategy ensures the quality of the organizational processes by integrating the use of unicist artificial intelligence to manage the unified field of business functions, the object driven organization to manage the internal business processes and cognitive systems to ensure their reliability. The minimum strategy ensures the achievement of results. The management of the laws of evolution allowed developing a future research model that is based on finding the unicist ontological structures of a scenario in the past, and using the data of the present in order to infer the future. Click on the image to access. 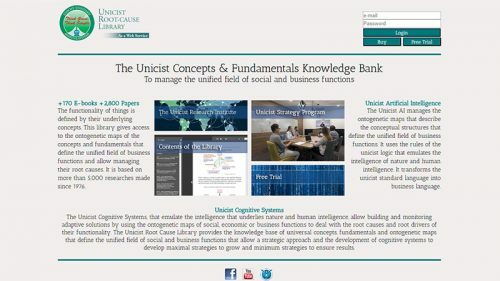 The Unicist Approach to Future Research is used for the building of future scenarios of countries and markets. It is based on the unicist ontological structure of the particular reality that is found in the past, the use of the data of the present and an inference of the future based on the use of a double dialectical logic. It has to be considered that the evolution of technologies is the operational driver of ideologies, ethics and social evolution, which implies that the technological trends define alternative future scenarios. Long-term planning requires managing the concepts that underlie the reality that is being influenced. The microeconomics driven development approach requires that the elite “owns” the concepts of the solutions that are being managed. Conceptualization drove to the development of the unicist reflection driven education that is based on an action-reflection-action processes where people apprehend the concepts while solving real problems. The discovery that the concepts people have in their minds guide their actions, expanded the possibilities of the educational programs for the elites. Concepts can only be learned when an individual is exposed to real actions producing real solutions. Click on the image to access. Unicist reflection driven learning uses learning objects, which are complex adaptive systems that have been designed to drive the learning processes of the learner without needing external guidance when working within functional learning environments. Diplomacy is a core value for economic development in a globalized world. This aspect of the project is for those countries where diplomacy is considered a political issue. The central value of knowledge economy is building a sustainable globalization environment that opens the markets for the goods and services produced in a country. This requires being focused on defending the natural interests while developing the necessary actions to participate in a globalized world. This process becomes possible if there is an active diplomacy that has the power to develop the necessary negotiation spaces. Such spaces allow opening the markets and establishing sustainable relationships with complementary markets to export and supplementary markets to develop alliances. 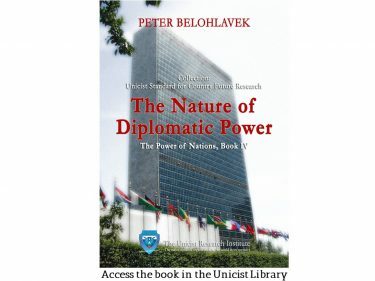 Fostering diplomacy in the private field is a core value for Microeconomics Driven Development and one of the aspects of the project, which requires empowering cooperative attitudes and the development of the necessary dissuasion power to make diplomacy possible. The core aspects of the project are the local Think Tanks / Foundations that represent the interests of the culture to integrate members of the local elite in research and educational processes that allow empowering the emergent segments of the economy. This activity needs to be self-supported to ensure the autonomy of its functionality. The establishment of a Social Observatory using cognitive systems with unicist artificial intelligence allows monitoring the unified field of the social and economic evolution. 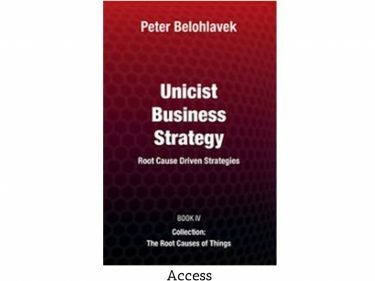 The Unicist Root Cause Library gives access to the knowledge of the concepts and fundamentals that allow managing the evolution of cultures. It includes all the knowledge that is required to diagnose, develop strategies and develop future scenarios in the social and business fields. It allows integrating the unified field of macro and micro economics. Learn more using the Courtesy Access. They are focused on developing researches to empower the sustainable globalization of the participating country. The researches need to establish the standards that need to be matched to make globalization possible. They are integrated by students that study abroad, who are integrated as potential leaders of the next generation to participate in the building of emergent segments. The core of their integration in the project is based on the development of their research capacity to deal with complex adaptive systems and the empowerment of their “diagnosing” and “doing” skills. 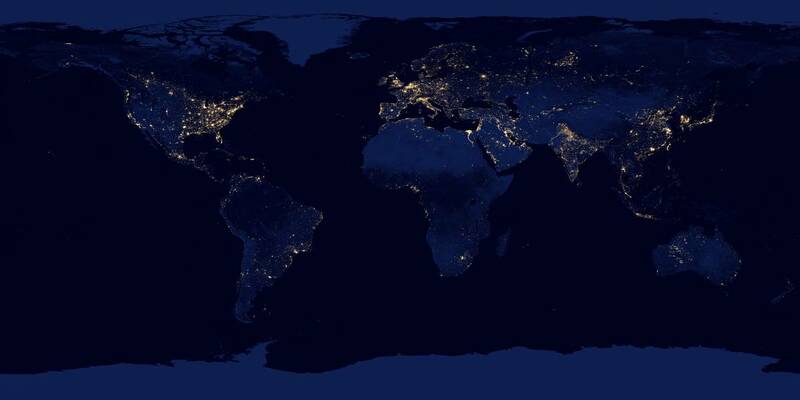 International Companies belong naturally to the emergent segment of a country. Their participation in this project facilitates the introduction of the mindset that is necessary to empower the development of a culture. They should not be donors, but participants of the programs. The unicist approach to the 4th Industrial Revolution is based on managing the unified field of social and business environments to increase their adaptability, growth and sustainability. The unified field is managed by using the ontogenetic maps of social and business environments to manage their concepts and fundamentals, which define the root causes that drive their functionality.  Click on the image to access. Based on the experiences of cultural changes that happened in countries like Australia, Brazil, Estonia, Finland, Germany and Spain, it can be said that these processes demand several generations to become established. This project considers a three-generation period as the time frame to establish structural upgrades in the habits of a culture towards a superior level of autonomy in an environment of sustainable globalization. It requires modifying the concepts of knowledge, knowledge generation and knowledge acquisition of a society. It implies incentivizing the generation of knowledge (research) and the acquisition of knowledge (education) through the introduction of a system for the emergent elite of young people opening opportunities that go beyond the limits established by the present culture.